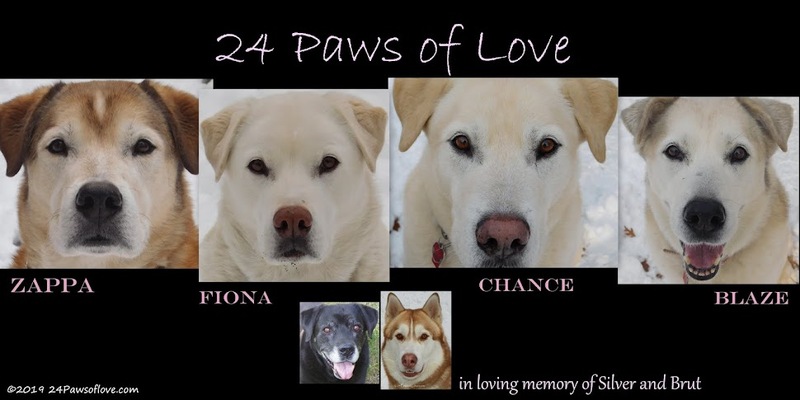 It was a year ago today, that the 24 Paws of Love began its journey into the blog world. It seems like it was just yesterday when I told my wife, "Let's start a dog blog." and she gave me that, "You're crazy" look. After this last year, I have realized that this dog blogging business is just amazing. I am so grateful that there are other people in the world that feel the way I do about man's and woman's best friend. And truth be told, my whole world includes my wife and our 24 Paws of Love. There was really no one else until the world of dog blogging came into our lives. Where we have found ourselves swept away with the care and compassion of fellow dog lovers blogging about their "Fido." 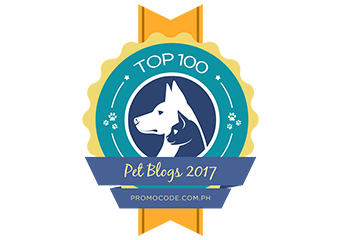 I would personally like to thank each and every one of you for being part of our blogging world. This has been one of the best year I have had. No matter how my day went, I could always count on the dog blogging community help make my day better. And here's to another year of dog blogging for all of us and everything that is to come. Happy Blog-niversary! Thank you for sharing with us your wonderful stories and inviting us into your lives with the adorable furries. We love reading your blog, and cheers for many more blog-niversaries to come! Happy blog anniversary! I hope you'll both be blogging for more years to come. I always enjoy your posts and the sensible thoughts in them. It was a good idea that you decided to start this blog. You have done a wonderful job with your blog and each day we look forward to visiting! Here is to another year of friends, fun and fur! Happy bloggoversary and many happy returns of the day! Happy Blogaversary and many more to come! We haven't been able to comment as often lately with all the stuff going on here, but we are trying to keep up with the reading. Happy Blogoversary! I wasn't sure what my blog would become when I started it. Mainly, I wanted something that would discipline me to write regularly and to try a different kind of writing from what I'd been doing. I never dreamed that I'd meet other people who even read what I wrote, much less felt the same way I did! It's been such a fun journey for me, and it seems that you're enjoying something similar! May you have many years of blogging ahead of you! Happy Blogoversary to you! I'm so glad y'all are out there!!! We have LOVED your blog and are looking forward for another year of 24 Paws! Happy Blogoversary!! Are we an amazing community, or what? And so much richer because you have joined us and share your journey and stories and care and love. Happy 1st Year Blogavesary! We look forward to many many many more years of being a part of your lives...and having you as part of ours! Happy Blogiversary and Congrats on your 1-year achievement. I've been blogging for about 10 months now, and you're right, it opens amazing doors to people and places I never would have met. Animal lovers are an incredible group of people! Many happy blogging days to you in the future!! What a wonderful story. 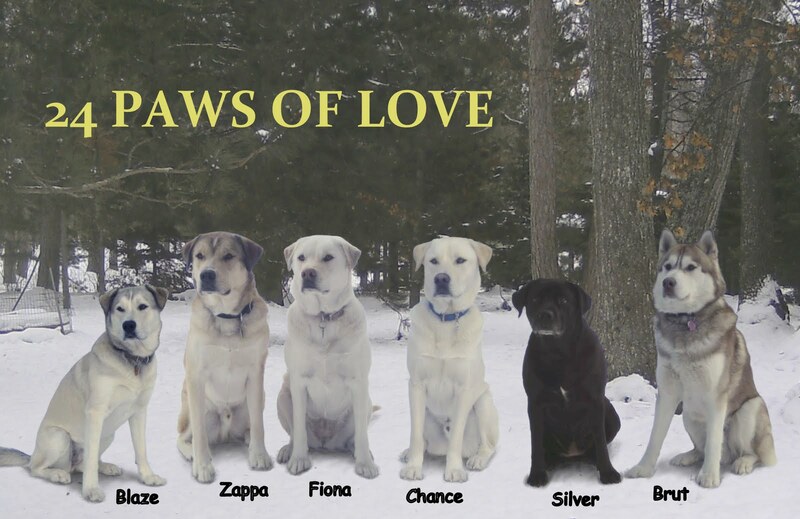 the 24 Paws are beautiful. Happy Blogiversary. Enjoyed it. CONGRATULATIONS ON YOUR BLOG ANNIVERSARY! I too have been blogging for just over a year now, and I would agree that the dog blogging community is wonderful! Found your blog thru another one I have been reading. LOVE, love, love the love and relationship you have with your dogs. We are a house of 3 dogs all adopted from rescue's the last one 1 1/2 yrs old and the only one that was abused and then abandoned and she loves us with more passion than you can believe. We are working on her issues and being very patient and it is working and all dogs are accepting each other. Keep up the blogging and I will enjoy and admire what you do.